Let’s face it. We all have preconceived notions. Most people, I’m willing to bet, think that writing is a pretty easy gig. You just sit in a chair, make things up for a few hours a day, and, if you’re any good, you get published and become famous, raking in cash like Stephen King. You probably think writers have “people” who do the mundane things like marketing and setting up speaking events. You would also be unbelievably wrong. We, the writers do all of it. Unless we can afford publicists, only our own sweat equity goes into making the publication ball roll and keep rolling. Even with a publicist, an editor and a publisher, writers are expected to put in their fair share. Tuesday night I attended my second speaking event as a writer. The first one went well and I didn’t feel like I did terrible, but definitely felt like I had some room for improvement. I was one of seven authors there to hock my book. I took what I learned from that event and applied it to Tuesday. 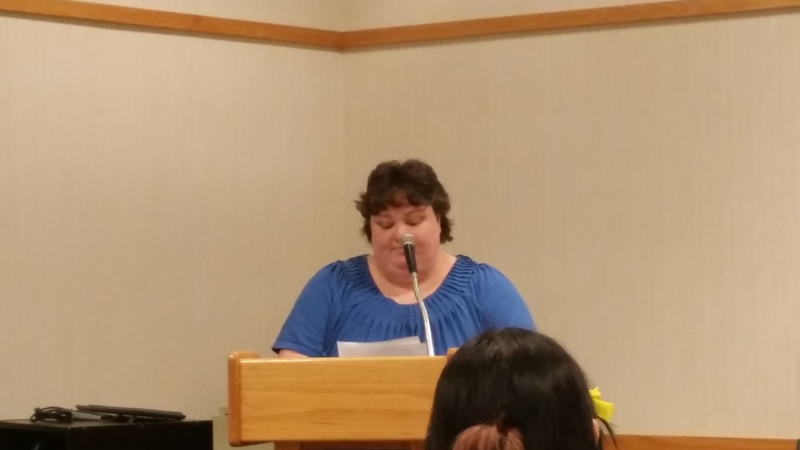 My second speaking event, Open Mic Night at our local library, featured the members of my writers’ group as well as one brave soul who came to share. I was first out of the gate because our leader thought my writing was the most relatable to the audience (I write mostly essays about being a mom or how I have a tendency to screw up even the most mundane of tasks) and would make a good opener. Silly man. I prepped for the event in all the usual ways: reading out loud until I was hoarse, timing myself to get the pacing right and so I didn’t sound like Seabiscuit on his way to a photo finish. I also took my prescribed, extra anxiety meds. Without those, I’d be in the bathroom and nowhere near a podium. Nothing prepares me for those terrifying moments in front of a room full of people expecting me to be awesome. There’s no way to set that bar a little lower. As I stood there, racing through my essay, I heard my voice begin to quiver. My throat began to run dry. The worst of all were my muscles. I could feel them systematically tightening up, threatening to turn me to stone. All I could envision was falling over, right where I stood. I hated it. All that prep for nothing. When I was done I raced to my seat and snatched up my husband’s hand. He kissed me and reassured me, but I still felt like a rabbit facing down a cat. What was I thinking? I can’t do this. I know that you’ll say that I shouldn’t be comparing myself, but you know what? Everyone does. But the simply fact remains for me that I do not feel like I’ve earned my place at the table. I went to my truck afterward and burst out crying because I felt like a fraud. Jim told me one thing that bolsters me, but just barely. I don’t know if he’s right. I don’t know if I have what it takes to do anything more than entertain my family with my writing. What I do know is that I want to do more. I want to be more. I’ve got the gumption. Do I have the talent? So what say you? Ever have that crisis of conscience? Ever doubt what everyone else says is true? How do you lift yourself above those moments and keep on keeping on? LOOK FOR ONLY TROLLOPS SHAVE ABOVE THE KNEE COMING THE END OF APRIL! GREAT MOTHER’S DAY GIFT IDEA! I wish I had the magic words to help you believe in yourself, but I don’t. 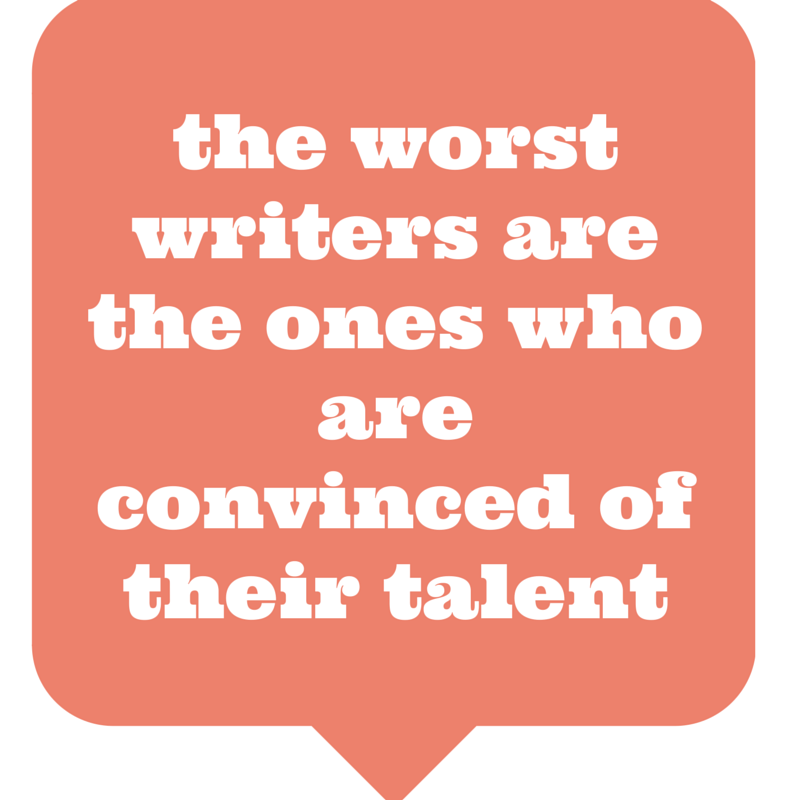 Not all writers are good presenters, but that doesn’t mean they aren’t magical writers. I think you are being too hard on yourself. You have talent, trust that. Hugs. Thanks, Lisa. I truly do hate this part of writing. I have never had too many problems standing up and talking in front of a group—–there are times when I have been more nervous than other times but you, my friend, rock the writing and I have a feeling that one day those nerves will lessen as you realize that you have a fabulous gift. It may never be easy for you to do the presenting part but maybe it will get a bit less nerve wracking as the accolades come rolling in.